Or: have we lost it already? Nathaniel Rich’s article about “Losing Earth” by climate change – and subsequent questions. Actually, that’s nothing new so far. It’s getting warmer in here, as everyone knows (or almost), and everyone seems to talk about how tough this summer has been and, due to the overwhelming heat, many seem to be happy it’s over – at least for now. However, climate change, global warming and the greenhouse effect are, in fact, nothing new at all, since knowledge about these phenomena dates back more than a hundred years. When I begun my study path in geoecology in 2006 (or earth system sciences, as our dean of studies Prof. Matschullat stressed to call it), climate change was already a big, if not teh biggest and most important issue. Thus, I felt compelled (and in fact was compelled) to learn more about it, so in my second semester I started visiting courses in ecology and atmospheric chemistry, as well as biology. Moreover, I read the book of PIK scientists Rahmstorf and Schellnhuber (both part of IPCC) on climate change, which opened my eyes to the huge extent and severity of this global dynamic. Apart from that, I became member of an environmentalist group at my university in Freiberg. The issue had really grabbed my attention. When I switched my study path to geography, I started specializing in meteorology and climatology. There, however, my interests changed, and the issue slid out of my focus for some years. It exists, although some (men) might not believe it. For that reason I want to direct your attention to the #SafeOutside campaign and the results of its survey which show that the climbing community is not outside of society but rather reflects the latter and shares many of its problems. #SafeOutside is an independent grassroots initiative designed to combat sexual harassment and sexual assault (SHSA). It is supported primarily by the American Alpine Club and Alpinist Magazine. According to the #SafeOutside survey presented in August, »47 percent of the women surveyed and 16 percent of the men had experienced some form of sexual assault or sexual harassment during a climbing activity«, as a very recommendable Climbing Magazine article cites the survey. Sexism is pervasive: Problematic commenting, stereotypical assumptions, as well as unwanted touching while spotting all were described as common problems »limiting women’s access to climbing free of fear, anxiety or discomfort«. The report also proposes actions to be taken to confront SHSA, such as bystander intervention, and offers guidelines for responding to victims as well as organizational best practices and a lot of further useful information on the topic. Auch wenn es nun schon etwas her ist, eine sehr spannende Podiumsdiskussion über die Fallstricke des Tourismus hat der Deutschlandfunk vor zwei Wochen von der Tourismus-Messe ITB in Berlin übertragen. Dabei kamen Tourismus-Experten aus Wissenschaft, Politik und Marketing ins Gespräch über Phänomene wie Over-Tourism, Umweltauswirkungen, und das ewig währende Dilemma, dass alle gerne verreisen, aber niemand Touristen mag. Das bezeichnende Statement einer der Beteiligten, dass man sich über etwas aufrege, wofür man selbst verantwortlich sei, verdeutlicht sehr schön, dass die Widersprüche des Tourismus sich seit seinen Anfängen nicht verändert haben. Die Aufzeichnung kann man hier runterladen. Wie schneesicher sind die Alpen noch? Wie sieht es in Zukunft aus? Welche klimatischen Faktoren spielen dabei eine Rolle? Diese und andere Fragen habe ich versucht aus alpinistischer Sicht zu beleuchten und zu beantworten, genauer, von Wissenschaftlern, die sich mit dem Thema beschäftigen. 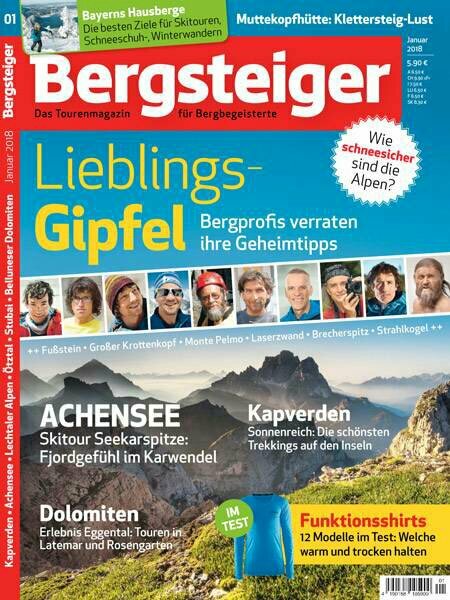 Lest mehr in der aktuellen Ausgabe des Bergsteigers. When Ueli fell to death three months ago, it really came as a shock to me. It did, because I supposed that he had reached a point where he would slow everything down a bit. Because he recognized he had to. It seems that Ueli mostly was a very reflective person, at least to me. After his fantastic but questioned success on Annapurna in 2013 he continued to reflect on his risk-taking. 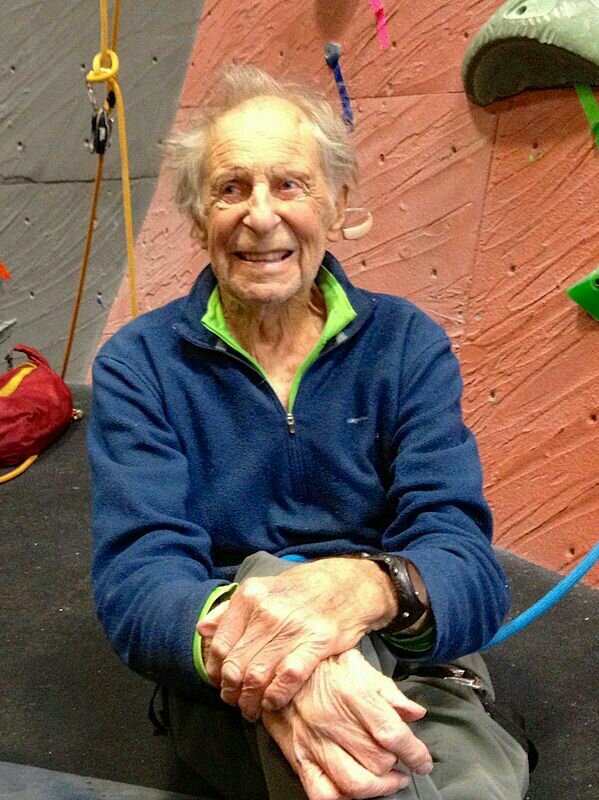 In an interview he told me he was very aware of the risks that climbs like the one accomplished at Annapurna bear, and that he could not continue on that level forever. He really wanted to slow down everything, it seemed. And in this regard his honesty was impressive, although perhaps he was not consequent in following his own conclusions. He perfectly knew what the consequences are when you fail on such a high level of both skill and risk-taking: »Failing means dying,« he said in his last interview. The climb he planned, a traverse of Lhotse and Everest, was probably not very demanding in technical regards, but definitely extremely demanding in length and altitude. If we believe his own statements, he even chose the climb because it was relatively free of risks, compared to the majesty and size of the enterprise. He would either push through, or get too exhausted and descent. But still, this climb would take alpinism a step further, as also Reinhold Messner recognized. In October 2016, I asked Ueli why he had continued to do solo climbs, despite writing in his book that he wanted to stop it, for respect of his wife. I encountered this highly noteworthy article on Phil Gaimon’s blog who last year, at age 30, “retired” from pro-cycling and talks about what makes up the appeal of the Tour de France, criticizing it for being either boring or dangerous, with spectacular crashes as being perfectly normal, again in this year’s version when riders crashed already in the beginning. That never would have occurred to me. But yeah. That’s weird. Two big names didn’t get up that day—out of the race with broken bones before it even started. He also writes about old-fashioned traditions like sexism and states it was still 1903. Lance Armstrong does not come off very well either.